For an NFL record ninth time, the New England Patriots are going back to the Super Bowl. This is the seventh time the duo of Tom Brady and Bill Belichick have clinched a berth to the world’s biggest football game. New England, boasting the top-ranked defense in points allowed (15.7), easily handled the Pittsburgh Steelers in the AFC Championship. Now, the Patriots are heading to Houston to take on the potent offense of the Atlanta Falcons. “There is no way the Patriots are denied another ring,” junior Brady Buckman said. “Despite Brady denying he does not have any extra motivation, I strongly believe he would love to cap this revenge tour with Roger Goodell handing him the Lombardi Trophy,” Buckman added. “We gon bring back one more,” former Patriot cornerback Ty Law said at the team’s send-off rally. Tom Brady’s ongoing feud with NFL commissioner Roger Goodell has been a prominent headline in the Super Bowl hype. Many feel as though Goodell wrongfully suspended Brady for his alleged role in the DeflateGate controversy. Since the series of events that led to Brady’s eventual four game suspension this season, the 39 year old quarterback seems to be playing his best football in all his 17 year career. “I do not think [Brady] has hit his peak yet, and this stellar level he is still playing at will lead the Patriots to their fifth Super Bowl,” junior Drew Naisular said. Arguably the most underappreciated unit in this big game is the Falcons defense. Despite not putting up any flashy numbers, the Falcons possess a quick, elusive defense. Second year defensive end Vic Beasley is the leader of this unit, posting a league high 15.5 sacks. “I could see Beasley getting to Brady a lot in this game,” Daniel Polykoff said. One of the notable facets of the Super Bowl is the fact that it has evolved to become an event larger than just a football game. Between the halftime show and commercials, even people un-fascinated by football still have something to entertain them. Brady vs. Ryan. Belichick vs. Quinn. Jones vs. Butler. 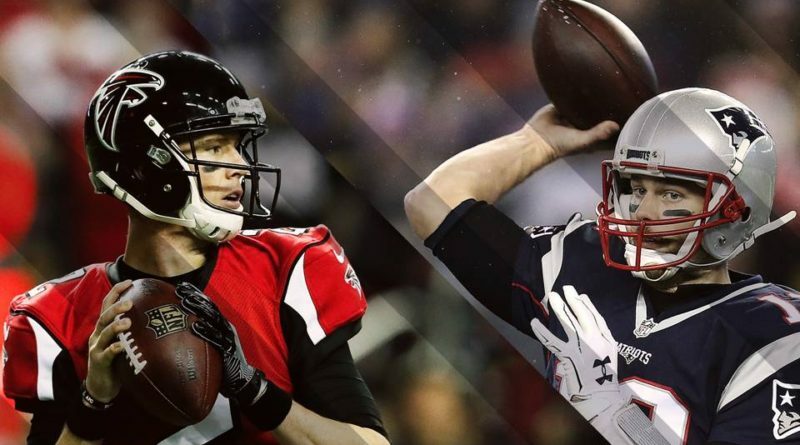 All of these highly anticipated battles will make up the war known as Super Bowl 51.